#Healthy recipe from Julieanna Hever, MS, RD, CPT, and host of healthy living talk show What Would Julieanna Do? on Veria Living TV Network. Over medium-high heat, sauté onion, carrot and celery in ½ cup of the vegetable broth until slightly browned, approximately 5-10 minutes. Add remaining vegetables, broth or water, bay leaves and thyme. Bring to a boil and reduce heat to medium-low. Simmer until vegetables are tender, about 30-40 minutes. Remove bay leaves from soup and blend with immersion blender until mostly pureed. Add spinach leaves and turn off heat. Serve hot. Nutrition information (per serving): with vegetable broth: 103 calories; 3 g protein; 1 g fat; 0 g cholesterol; 24 g carbohydrate; 4 g fiber; 5 g sugar; 450 mg sodium. With water instead of vegetable broth: 94 calories; 22 g carbohydrate; 3 g sugar; 38 mg sodium. Healthy Recipe by Chef Tina Bourbeau for the innovative online supermarket FreshDirect (www.FreshDirect.com). Heat 2 tablespoons of the olive oil in a sauté pan over medium-low heat. Add onion and garlic. Stirring occasionally, cook until onion and garlic are softened and lightly golden (about 5 minutes). Set aside. In a food processor fitted with an S-shaped blade, puree the beans until smooth. Scrape down sides of the bowl as you go. Add salt, remaining olive oil, zest and juice of lemon, and onion/garlic mixture. Puree until ingredients are completely blended and mixture moves easily around the bowl. Scrape into serving dish and serve immediately; or cover and chill at least 1 hour or overnight. Let come to room temperature before serving. Nutrition information: (per serving): 50 calories; 3.5 g fat; 4 g carbohydrate; 1 g fiber; 1 g protein; 90 mg sodium. Healthy Recipe by Weight Watchers, from January 2014 edition of Weight Watchers’ What to Cook Now: 300 #Recipes for Every Kitchen (St. Martin’s Griffin; 2014). Preheat oven to 250 degrees F. Place bread on large baking sheet and bake until dried, about 20 minutes. Transfer to large bowl. Increase oven temperature to 350 degrees F. Spray 9 x 13-inch baking dish with nonstick spray. Heat oil and butter in large skillet over medium-high heat until butter is melted. Add celery, pears, onion, sage, salt, and pepper; cook, stirring frequently, until pears are softened, 7-8 minutes. Add celery mixture to bowl with bread; toss to combine. Add broth and parsley and toss again. Spoon stuffing into prepared baking dish. Bake until browned and crisp on top, about 30 minutes. Nutrition information (per serving): 92 calories; 3 g fat (1 g saturated; 0 g trans fat); 234 mg sodium; 16 g carbohydrate; 4 g fiber; 3 g protein; 37 mg calcium. Healthy Recipe from 365 Comfort Foods by the editors at Better Homes and Gardens (Reprinted with permission of the publisher, Houghton Mifflin Harcourt). Preheat oven to 400 degrees F. In a small bowl, combine parsley, garlic, rosemary, thyme, salt and pepper. Set aside 1 tablespoon of the herb mixture. Place turkey breast portion, bone side down, on a rack in a shallow roasting pan. Lightly coat with cooking spray. 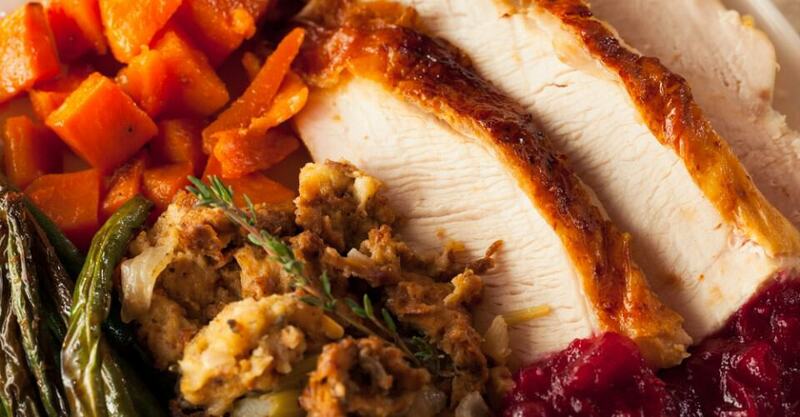 Sprinkle the remaining herb mixture evenly over turkey; rub in with your fingers. Roast, uncovered, for 20 minutes. 1 tablespoon herb mixture and the oil; toss to coat. Arrange vegetables around turkey in roasting pan. Reduce oven temperature to 350 degrees F. Roast, uncovered, for 11/4 to 11/2 hours more or until juices run clear, turkey is no longer pink (170 degrees F), and vegetables are tender, stirring vegetables once. Transfer turkey to a cutting board. Cover loosely with foil; let stand for 10 minutes before carving. Serve turkey with vegetables. Nutrition information ( per serving): 231 calories; 3 g fat (1 g saturated); 69 mg cholesterol; 219 mg sodium; 21 g carbohydrate; 3 g fiber; 30 g protein. Healthy recipe from The Ultimate Diabetes Cookbook by the editors at Diabetic Living (Reprinted with permission of the publisher, Houghton Mifflin Harcourt). In a large skillet cook beans, covered, in a small amount of boiling water for 6 to 8 minutes or until crisp-tender. Drain and rinse beans under cold water to stop cooking; drain again. Pat dry with paper towels. Carefully wipe the skillet dry. In the same skillet, cook mushrooms in hot oil over medium heat for 5 to 10 minutes or until tender and lightly browned, stirring occasionally. Add beans and sprinkle with the salt and pepper. bean mixture to a serving platter. To serve, sprinkle with walnuts and basil. Nutrition information (per serving): 66 calories; 5 g fat (1 g saturated); 0 mg cholesterol; 101 mg sodium; 5 g carbohydrate; 2 g fiber; 1 g sugars; 3 g protein. Healthy recipe by Executive Chef Justin Cline Macy and Pastry Chef Kim Macy, authors of Miraval’s Sweet & Savory Cooking (Hay House, 2014). Heat the oven to 350 degrees F. Line an 8-inch x 8-inch baking pan with parchment cut to fit and then spray with nonstick cooking spray. In a medium bowl, sift together the all-purpose flour and baking soda and then whisk in the cornmeal and salt. In a separate bowl, whisk together the buttermilk, eggs, melted butter and sugar. Add the wet ingredients to the dry and mix just until smooth. Fold in the chili, corn and bell pepper. Pour into the prepared pan and bake for 20 to 25 minutes or until it is lightly brown around the edges and springs back in the center when touched. Nutrition information (per serving): 130 calories; 4 g fat; 21 g carbohydrate; 1 g dietary fiber; 3 g protein. Make the cheesecake: In a standing mixer fitted with a paddle attachment, cream the neufchâtel cheese and pureed cottage cheese together and then add the sugar and mix until nicely blended. Sprinkle the gelatin over 1/2-cup cold water in a small bowl to soften and “bloom” it. Set aside for 2 minutes. In a saucepan, heat the milk and add the softened gelatin. Cook for 30 seconds, stirring constantly until dissolved. Pour the warm milk into the creamed cheese mixture and mix until smooth. Add the vanilla extract and mix to blend. Transfer the cheesecake batter to a container, cover and refrigerate for 4 hours, until it has firmed up. Make the compote: In a sauté pan, heat the butter over medium heat until melted and then add the apples, sugar, and cinnamon. Cook for 2 minutes or until the apples have softened slightly and started to caramelize. Cool to room temperature. Make the apple chips: Heat the oven to 200 degrees F. Place the thinly sliced apples on a nonstick baking mat (such as a Silpat) and sprinkle the powdered sugar over the top. Bake for 40 to 50 minutes or until the apple slices are crisp. You can test the crispness by removing one of the apple slices from the oven and cooling for 2 minutes. Assemble the dessert: Pipe the set cheesecake batter into pretty glasses and top each with a spoonful of apple compote and a crisp apple chip. 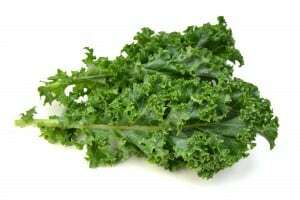 Nutrition information (per serving): 280 calories; 4.5 g fat; 54 g carbohydrate; 1 g dietary fiber; 9 g protein.